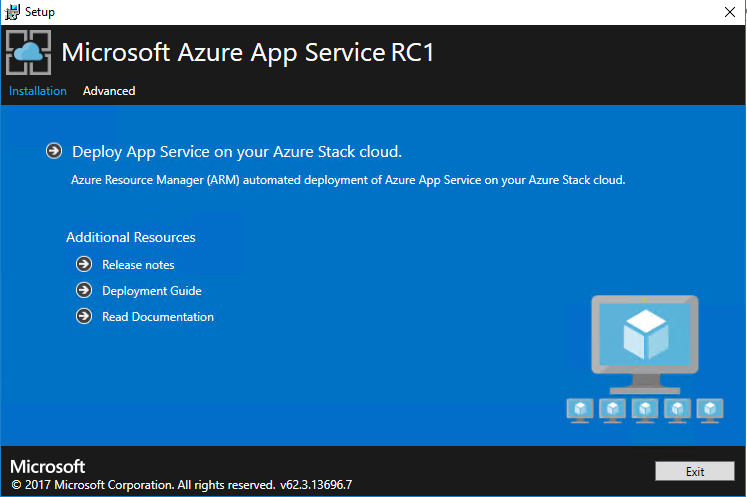 After installing/deploying the AzureStack DevKit i added the SQL RP and also wanted to add the App Service Resource Provider for a dev experience! I have an relative ordinary HPE 380 G9 box with 128 GB of ram and 2 CPU´s so it should be fine, but there was some issues that I wanted to document to help others, this will probably be fixed in an later release of the App Service install pack though. After filling this out the deployment started but after a few hours it failed during the deploy step, I tried the Retry a couple of times but without luck, also closing the wizard makes you lose the stage of deploy and need to rerun the whole deploy! 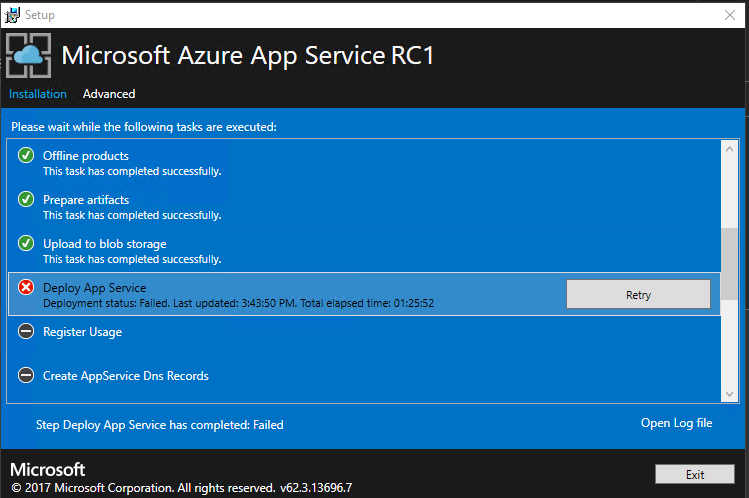 When doing a redeploy you have to delete the resource group APPSERVICE-LOCAL (or what you called it) and also go into your SQL server that you entered into the wizard and remove the appservice db´s!! How did I mange to get it working though? 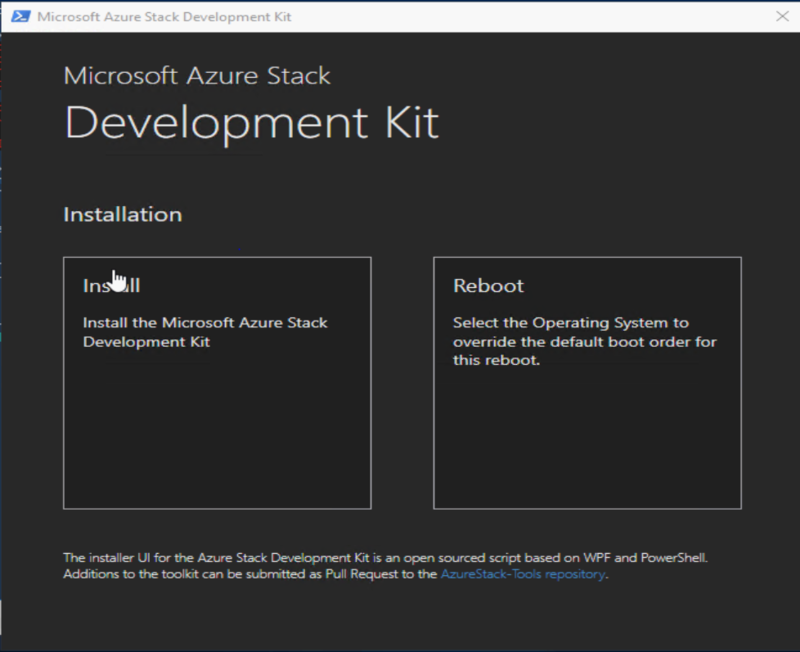 I got some help from Andrew at Microsoft that works with the Stack team and he gave me some guidance how to get it into a good state! 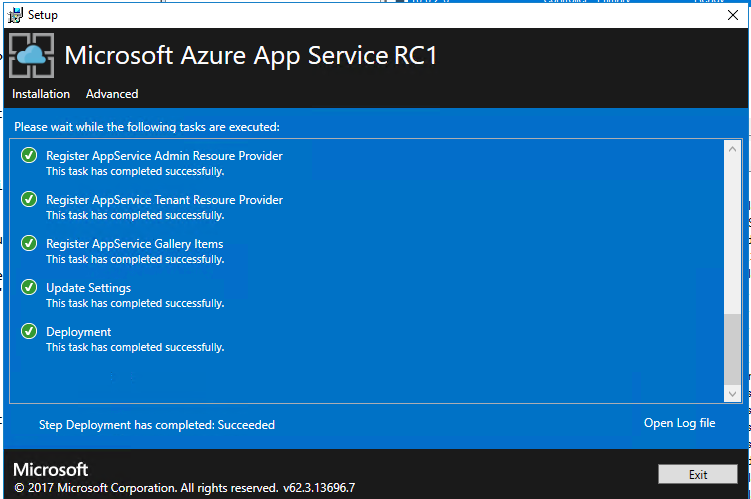 Apparently the App Service adds all uppdates during deploy and to be more successful the recommendation was to update with patches that was released up until last tuesday with the win2016 image and thus update to latest CU, mine came from the marketplace syndication with Azure and that one had not the patches when I did this test, I threw that away and ran the create image script adding the parameter for -includeLatestCU. I also hit the repair link and when all of them said “Ready” I added a new 0.status file I got from Andrew into the custom script folder on the CN0-VM, easiest way to do that was with the lovely PowerShell Direct that is part of the Win 2016! and then went back into the wizard hitting Retry and this time it continued to the finish and my deployment was successful! Good luck in your deployment! 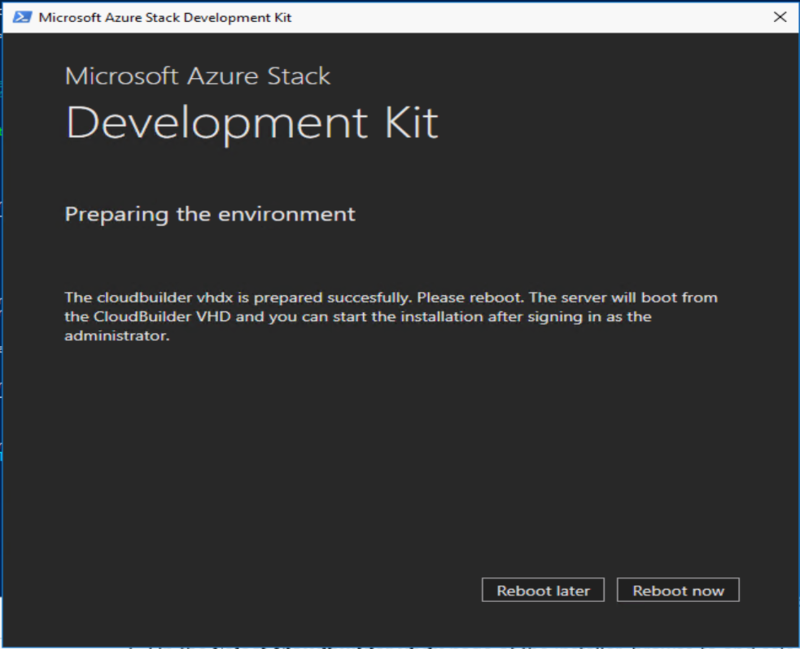 Yesterday during the start of Microsoft Partner Conference Inspire the AzureStack was released as GA and also was made available for the devkit version to be downloaded! 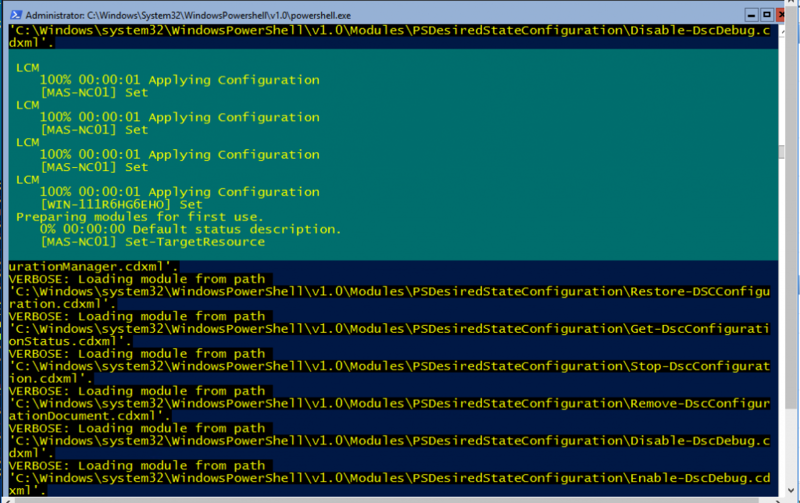 Of course I had to test it and now thanks to the new installation powershell script with a gui it is even more easy than ever to start the deployment… First of all I downloaded the kit, It helps to have a 10 Gbit internet connection at the datacenter 😉 and then download the Powershell script. Once the bits had been extracted I could use the wizard to prepare the unattended-file and the boot-from-vhd for the cloudbuilder.vhdx and reboot the server to continue the deployment! There was issues with the deploy script yesterday me and Ruud reported which was quickly fixed by Marc van Eijk, the problems was that if added a vlan or a dns the deploy failed. I also found an issue that if as in my case the firewall in front of my stack did not allow for external NTP sources I ended up in a failed deploy because it requires a NTP sync before continuing, so I had to configure an internal NTP source and then the deploy succeeded! The deployment took about 4 hours and once that was completed I could fire up an browser and connect to the portal! Good luck in your stack dev tests! Shortly after TP3, Azure Functions will be available to run on TP3, followed by Blockchain, Cloud Foundry, and Mesos templates. Continuous innovation will be delivered to Azure Stack up to general availability and beyond. 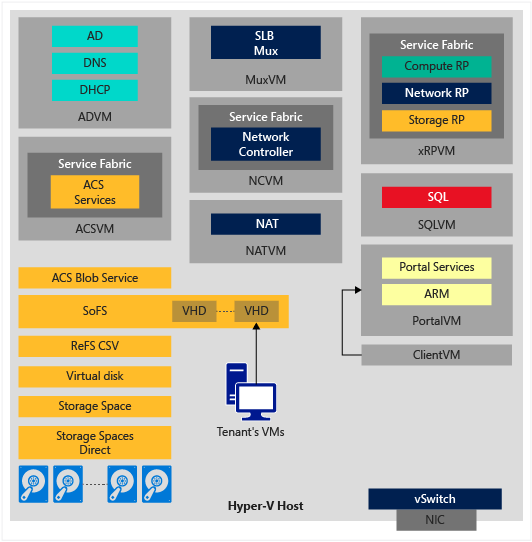 TP3 is the final planned major Technical Preview before Azure Stack integrated systems will be available for order in mid-CY17. Finally the AzureStack TP1 bits have arrived! 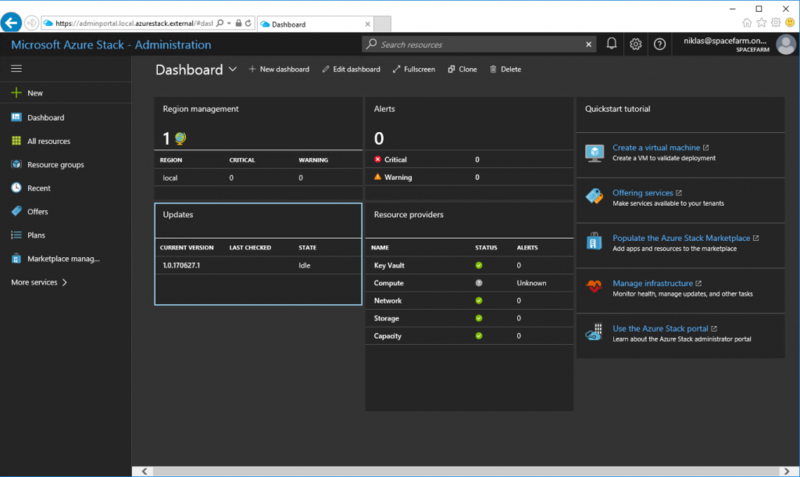 Yesterday the AzureStack TP1 PoC files was released and now you can play around and create your own Azure. Now I just need a decent hardware to run this! If you have some issues with the requirements my friend Daniel have made a blog about how you can try to install it with less memory! On this page you can read more about it and learn how to deploy it to your environment!